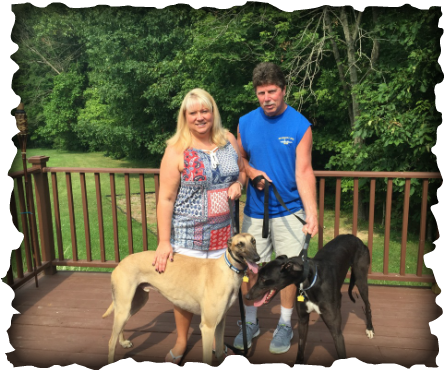 Mamba and Bubba were adopted by Denise and Chris of Blanchester. They have known for months that not only were they wanting to add a greyhound to their family but they wanted TWO greyhounds at the same time. Denise and Chris waited until they were moved in to the perfect house with a huge yard and then adopted Bubba and Mamba right away. Both these dogs will be very spoiled by this family. We will see this family out and about at events this year!